Low minimum debt threshold: Preferred Financial Services requires each consumer to have at least $5,000 in unsecured debt types, such as credit cards, department store cards, medical bills, repossessions, and personal loans. Many of their competitors require $7,500, $10,000 or more to secure settlement services. Lack of transparency: Preferred Financial Services reveals little regarding the background and experience level of those who will negotiate or settle the clients’ debts. They also decline to outline company procedures, background, and debt negotiators experience level. Varying fees: Company fees are structured on a case-by-case basis and are seen from 15-20% of the total amount of debt enrolled in the settlement program. No educational resources: Preferred Financial does not provide any sort of educational resources or tools for consumers. No account dashboard: The company does not provide a user dashboard allowing them to monitor the process of their settlement. Guarantee: If clients are unhappy with the results or a negotiated amount, they are free to keep any money in their savings account, as settlement companies are required to work on a performance-based model as ruled by the FTC in 2010. Lack of transparency: Some consumers have paid 15% of their debt for Preferred’s services, while others may pay up to 20, or even 25%. They do not disclose information regarding pricing or even a basic fee structure. We also found a consumer complaint stating they charge a $30 monthly maintenance fee for the duration of the program, which is very high for the industry. Our recommendation: Due to the lack of company transparency and fee structure, we suggest consumers who take advantage of the free consultation to ensure they are getting a clear image of what they are signing up for. 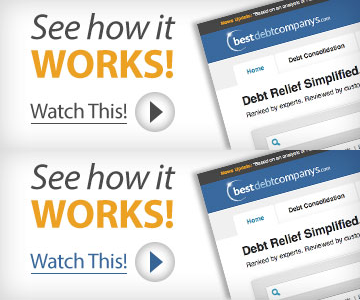 Overall, we recommend going with a more reputable debt settlement company such as Freedom Debt Relief or Pacific Debt Inc. The overall cost of working with one of their associates will depend on several factors, including the state of residence (there are different state laws and regulations regarding debtor/creditor relationships that might affect service fees) as well as how long the debt will take to pay off. There are no upfront fees associated with getting started with Preferred Financial Services to negotiate or settle your debts. They do offer a free consultation, or as they refer to it as, “a free estimate”. There’s a form on the site for potential clients to fill out their first and last name, their email address and phone number, the state they live in, the best time for them to call you, how much debt you’re in and how many days behind you are on your payments. Those who are interested are also welcome to simply call in to start their free estimate (consultation) over the phone right away. 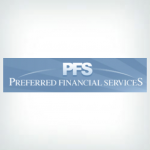 Preferred Financial Services has been in business since 2003. No official debt education services are provided during the debt management relationship with Preferred Financial Services. Though they say they don’t offer an official money back guarantee, they do mention that there is no financial “penalty” for completing the agreed upon program with them earlier than initially expected. If you’re involved in a debt settlement program, and you cancel, you can keep the accumulated funds. They’re only able to help settle or negotiate unsecured loans, which is typical of any debt solutions company. Secured loans are designed in such a way as to guarantee the creditor a payback on the loan that was issued so there generally isn’t any negotiating of secured loans of any kind. Their website is not currently mobile friendly. Debt consolidation and debt settlement services. The minimum amount of debt that Preferred Financial Services accepts is $5,000. There really isn’t a dashboard for customers. You can log in to see the account, but it offers nothing other than a view of the payments going into it and such. They are great at setting you up and taking your money out of your account every month BUT they are lazy in paying off accounts. They milk it and after the three year contract, they still left two of my accounts open with over $3200 in my account. Plus I received 1099’s on two accounts they settled which meant that I had to file that as INCOME and totally screwed me up!! They never get back to you either! My contract was up in May 2018 and I have not received a reply call or email regarding the closing of my other two accounts!! Nothing! By submitting this form, I consent to receive calls using automated technology from Preferred Financial Services at the number provided and understand this is not a condition of purchase.